Time for a master bath upgrade! 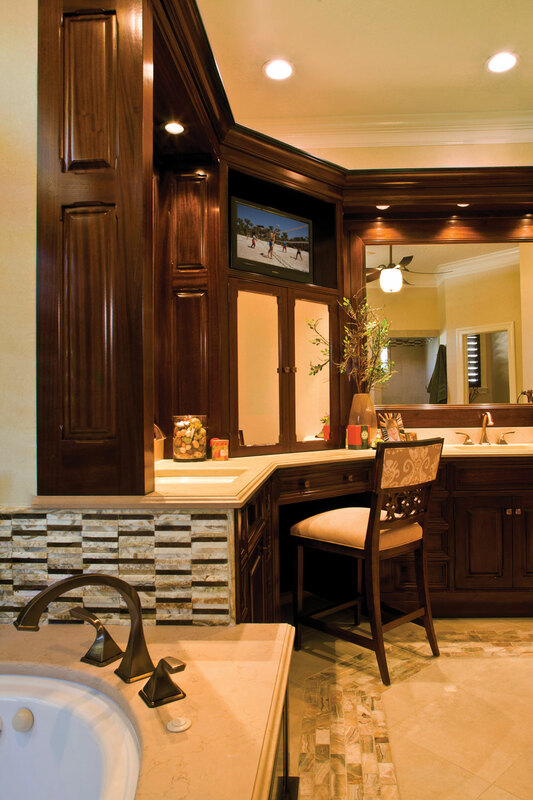 The basic layout of the bathroom was sound, but it needed a completely new style. 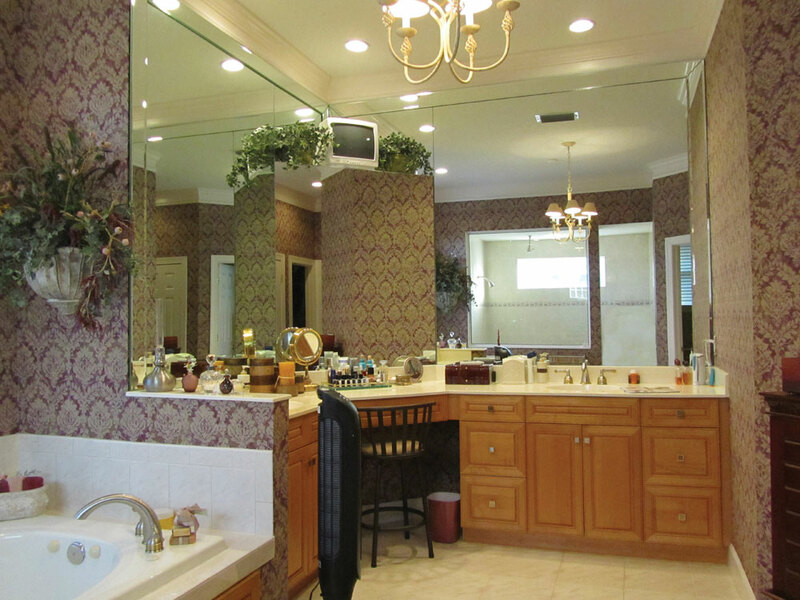 We removed all but the tub, and made major improvements – custom mahogany cabinets with lots of functional storage, mirrored pier cabinet and vanity area, improved lighting and ventilation, spa shower features and “aging in place” additions (ALWAYS considered in a remodel situation). We selected a classic limestone look porcelain and added the “wow” with a stunning honey onyx. Functional and beautiful at the same time. Let's begin re-imagining your spaces.